On Thursday, April 11, kicking off at 7pm, the colourful explosive fireworks will light up the night sky and gravity-defying jetpack stunt performers. Then on Friday, April 12 there is a day of fun at Timothy Molony Park, Friday Live for Kids - action-packed children's entertainment featuring song, dance, magic, rocking music and character shows to delight children everywhere. That evening the park will turn into some grown up fun as well, featuring Joe Tee and Afrodisa, Bearfoot, Sahara Beck and the multi-platinum selling Regurgitator. Also on Friday, April 12, there will be a vibrant array of roving entertainers, giant lanterns, magical floats, marching bands and lively characters will taking over the streets of Ipswich Central in the evening, in the annual Festival Parade of Light, themed "Our Backyard". And don't forget about the Ipswich Gala Doll Fair, Sunday April 14, is returning. 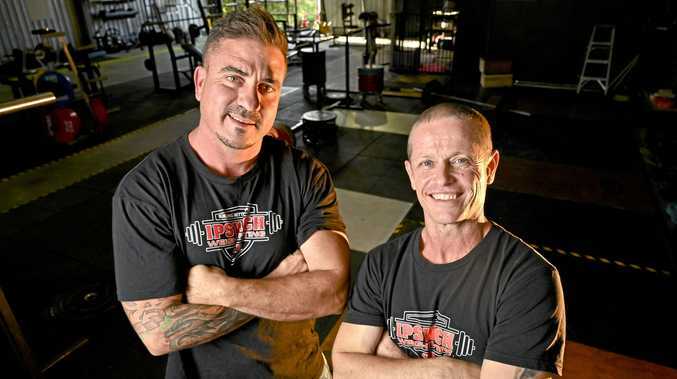 It will be held at the popular Ipswich Civic Centre. Over forty years of hosting doll shows this show promises to delight people of all ages. Also a part of the festival, Playing with Light at Ipswich Art Gallery is on until April 28. The interactive exhibit shows how light is intrinsic to our lives, from natural phenomenon like rainbows to advanced technologies, all the way to the simple light bulb. 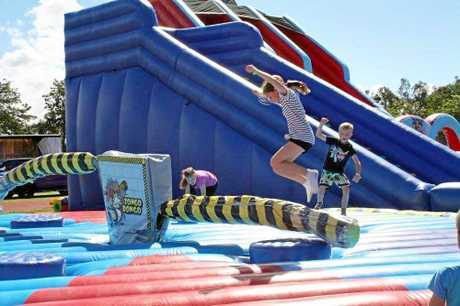 Australia's biggest inflatable fun park is coming to Ipswich. The Inflatable Factory will pop-up at Springfield Central on the corner of Southern Cross Circuit and Sirius Drive these school holidays. Whether you want to be a human hamster on the Zorb Ball Ramp, dare to fly on the giant 12m high Superman Slide or take on the Zongo Bongo Mechanical Wipeout Ride, the park has you covered. There will also be a 20m long obstacle course, Bubble Soccer arena and mechanical bull. These markets are for the serious bargain-shopper. 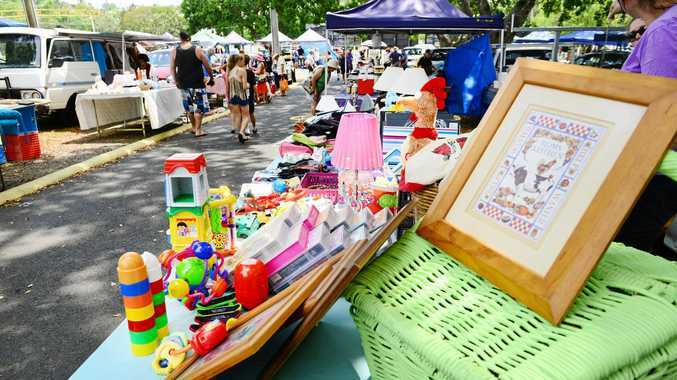 Stallholders currently sell a range of items, both new and second hand. Entry is a coin donation - not a bad investment for entertainment and bargains. The Ipswich Nature Centre was reopened in March after flying foxes, which caused the closure, were finally moved on. But now it's open again and it's school holidays so you can get in and check out the Animal Encounters Walking Tour. 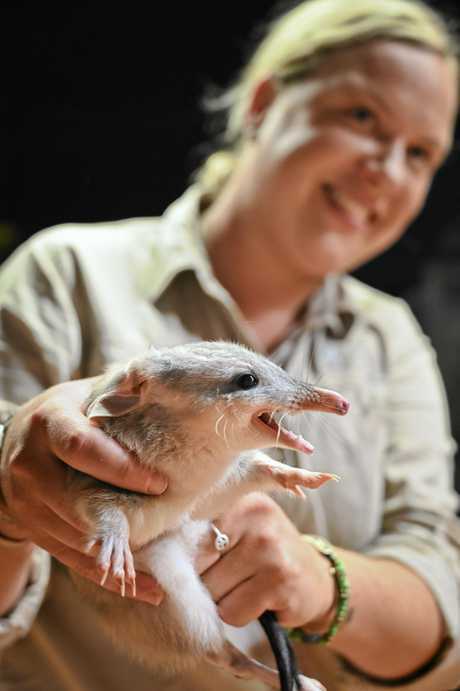 The tour offers kids, and parents, the opportunity to learn about the important work the centre undertakes to support the bilbies; discover what goes into caring for local wildlife; meet lovable barnyard animals; help the keepers with their feedings; and get to know all the local residents of the Nature Centre by name. Tickets are essential and the tour goes for one-and-a-half hours. 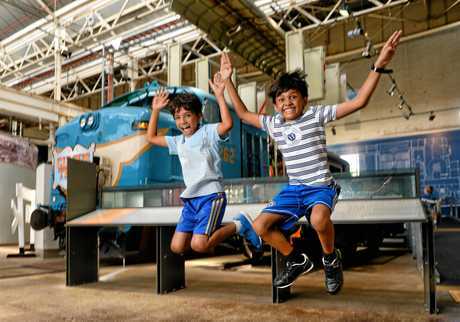 There are plenty of things on these school holidays at the Workshop Rail Museum. First and foremost is the Big Blue Blocks exhibit. Get building, engineering and inventing with the Big Blue Blocks. There are also plenty of rail exhibits going far back in time, all the way up to modern rail - as well as the crowd favourite, the Sciencentre. It includes 20 interactive stations. Both exhibitions are free with museum entry.